With so much to do in and around Pattaya we at the Siam guest house have create this list to help you plan some of your holiday ahead of time. We look forward to welcoming you to the most vibrate town on the Eastern sea board. The Siam Guest House. If you think about Thailand, you must think about The Walking Street and the street food. There are a lot of Walking Street that famous in Thailand but every tourists must have heard about Walking Street at Pattaya. Since Pattaya Walking Street is well known, it becomes a popular destination for travelers from all over the world. So there are countless cheap hotels in Pattaya. The Walking Street looks a little bit plain at noon, there will be only restaurants, marts, and pharmacy but you will be surprised when it comes to the night as the atmosphere is entirely different from daytime. The venue will be filled of entertainment such as nightclubs, discos, and go-go clubs. Apart from nightclubs, there are some exciting shows on the venue, for example; a magical show, Thai boxing show, lifelike drawing show, and etc. That is the reason why both of Thai and foreigner tourists are always looking for cheap hotels in Pattaya. The Siam Guest House is surely the perfect spot for those who appreciate the day and nightlife activities in Pattaya. The Condo is well situated in the heart of central Pattaya, on the main road of Pattaya Saisong, 2nd Road- you are within a 2 min stroll down to the beach; the condo is nestled in between three major air-conditioned shopping Malls- very near a just to the right of the Pattaya Avenue Mall; less than 5 min walk to Central Festival Mall Pattaya; and only a few minutes from The Royal Garden Mall (which houses Ripley's Museum). If we are talking about Street food, think of Pattaya as you can easily find it from North to South beach. Since people enjoy the nightlife with many good restaurants, pub, and bar, they try to find cheap hotels in Pattaya which are located around tourist attraction. The Siam Guest Hotel is one of the cheap hotels in Pattaya that can meet your expectations as it is located near the convenient stores, restaurants, and many other tourist attractions. 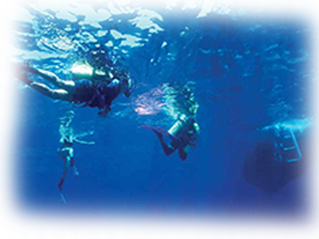 pattaya-divingFor beginners the center's offer complimentary pool sessions. This is an easy introduction to scuba at your hotel swimming-pool. The instructors explains how to use the breathing apparatus and takes you for a short dive in the pool. The cost around 2000 Baht. includes boat transfers to and from Coral Island, all the seafood lunch you can eat , on soft drink, an hour and a half diving instruction in the pool by a qualified and two coral dives with instructor, all equipment, medical supplies, introductory diving course certificate and diving log book recognized worldwide. 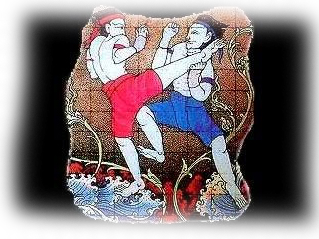 The Art of Muay Thai (Thai boxing) originated and developed with Thai history. It is known as a subdivision of martial arts, in order to defend oneself from an enemy. Thai boxing can be differentiated from the general form of boxing, as it includes the use of hands, elbows, feet and the knees. In the past, the Kings practiced Muay Thai during the time of war to gain and keep sovereignty. Muay Thai instructions were for the Kings, governors, leaders and warriors of the country. Consequently, Muay Thai is a major element of Thai culture. Therefore, Pattaya's largest Muay Thai boxing stadium and the tournaments presented are a must see for visitors to Pattaya, Thailand. Some of the matches include fighters from many different countries. Please ask our front desk about the time and date of the next match, normally once or twice a week. 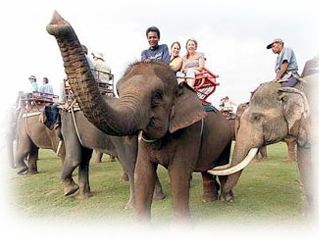 Pattaya' Elephant Village is a popular attraction with visitors. To meet demand, visitors can watch daily training sessions for elephants. Visitors can also feed the elephants and enjoy a short ride around the show ground. This is the great afternoon tour where you can have fun with a video camera or capture the colour display on film. “The Thai Extravaganza Show” Touch a new experience of Thai performing arts in a Panoramic Concept which is the first of its kind in Thailand. 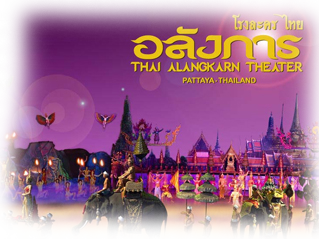 The Thai Alangkarn Theater with an area of 32 acres. At the heart of THAI ALANGKARN THEATER is the “Theater”, a state-of- the-art theater that can entertain 2000 guests. It is decorated in a Modern-Thai Style inclusive of a 70 meters length Hexa stage, two large 11 x 15 meters screens, and a 50 meter water screen for presenting “The Thai Extravaganza Show” in a PANORAMIC CONCEPT with the combination of multidimension techniques of presentation, such as Pyrotechnics, Multi-Color Laser Show, Real Surround Sound System and more. The entire project includes a prototype Hexa stage. This is a Cultural Rostrum and a Restaurant with 1,000 seating capacity. 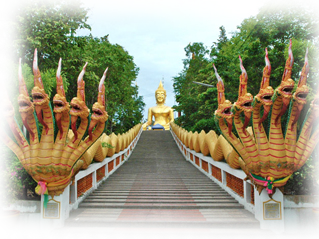 Wat Phra Yai (Big Buddha Hill) is a very popular attraction in Pattaya. There is a huge image of Buddha at the top of the hill. The image is even more incredible when one look is close it is absolutely huge. According to the religion . Big Buddha Hill is the place that has the biggest image of Buddha in Chonburi Province, where its height is about 300 feet. It was established in 1977. This Buddha image is called Luang Phor Yhai by the Thais. 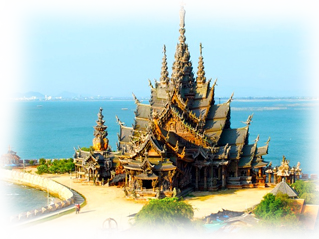 The location of Wat Phra Yai is near Pattaya City, South Pattaya. Pattaya Floating Market is a major attraction in Pattaya, presenting cultures and traditions of 4 regions of Thailand - Northern, Southern, Central, and Northeastern; the market demonstrates what the main products from the different areas are; and how people from the past earned a living; what their main activities were; also, you will see traditional shows, and a variety of niche items available- such as wooden sculptures, wooden handmade bags; silverware, textiles, paper handcrafts, Thai silk, and so on. Visitors can travel around the market by a boat in (similar to the past) order to see and view the market. 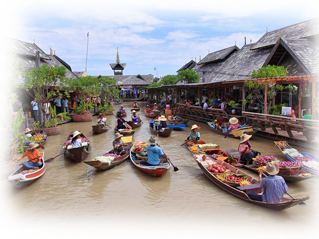 Pattaya Floating Market is the largest floating attraction in the East of Thailand. 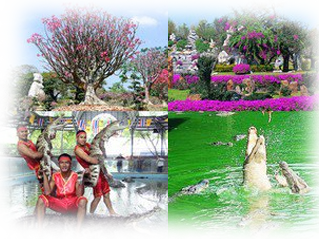 An over 100 rai Park & Farm, 15 minutes' drive from center of Pattaya, featuring curious and beautiful things of different types : crocodiles in their natural surroundings zoo of wild animals, award winning trained trees, a million-year-old petrified tree and hundreds of huge, grotesque rocks. Man-catching crocodile show and magic shows are performed daily. 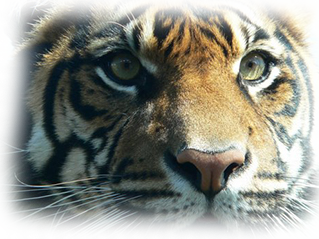 45 Minutes drive from Pattaya, offers the chance to get close to the majestic tigers in their natural environments and at the same time see various other resident animals. Animal shows run throughout the day featuring tigers, crocodiles, bears, chimpanzees, elephants and pigs. The shows run for around 30 - 40 minutes. is a temple construction in Pattaya,Thailand. The sanctuary is an all-wood building filled with sculptures based on traditional Buddhist and Hindu motifs. The top of the building is 105 meters high, and the building covers an area of more than two rai. It features contemporary Visionary art based on traditional religious themes. The project was initiated 1981, and is scheduled to be complete in 2050.